The English would be among the earliest enlightenment thinkers that would provide a blueprint that others would follow in the coming years. Many historians argue that this is due to the fact that they were also the first to develop a Constitutional Monarchy, which would provide more power to the people of England over the next few centuries. The English Civil War (1642-1651) would further develop this idea that the King could not rule without the consent of the people, and the first wave of the major English enlightenment thinkers would develop theories during this conflict. The Glorious Revolution (1688) would further establish the power of the people over the monarchs and show that these concepts had taken root with the people. The immediate result of this would be that the English would deny the concept of divine right, that had been used for so long in European monarchies, and force the King and Queen to give specific rights to the people through the English Bill of Rights. early societies, in his opinion, were in the best interest of the entire community because they were the enforcement of the terms of this social contract, but they should only be enforced when one citizen tries to harm another. Hobbes is often seen as one of the most clear pessimists of the enlightenment due to his clear distaste for democracy and his belief in the inability of the people to make decisions for themselves. In his writings he would claim that instead of giving the people more rights, the country should have a strong leader who had the power to suppress the basic instincts of the people. This leader should have absolute authority over the people and act like a monster (which is why he called his book Leviathan) in his role in protecting the people from their own instincts. He was aware that this belief would lead to abuse by the leader, but was willing to accept this as the price of living in a peaceful society. He did, however, believe that this leviathan could be replaced, but only if he failed at his main job of protecting the people. John Locke (1632-1704) was the next major English philosopher, but would become much more important than any other that came before or after him. 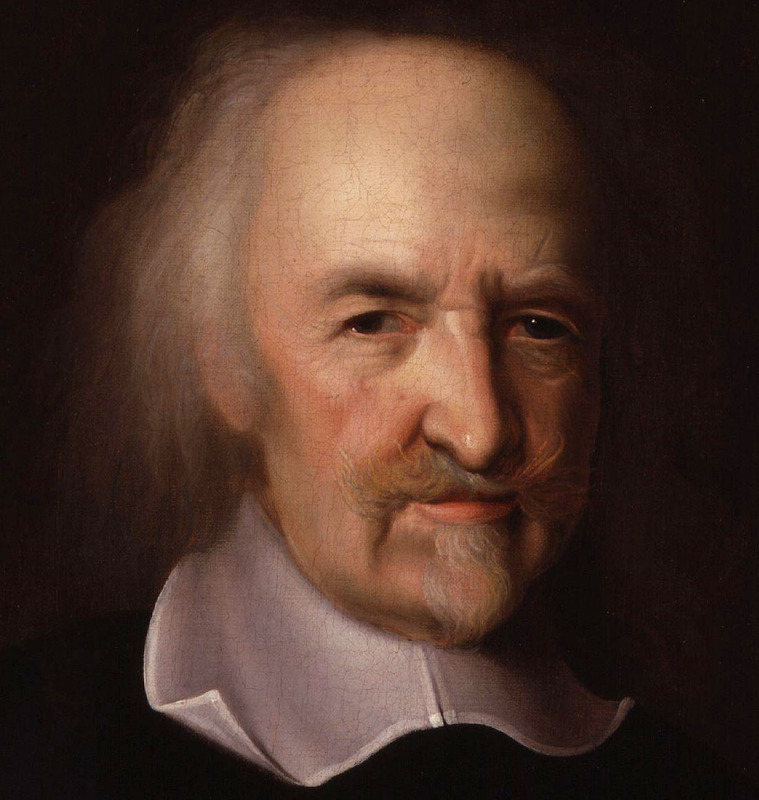 He would write a number of books and essays that outlined philosophical beliefs that would put him at odds with many of the things Hobbes had claimed. In his Essay Concerning Human Understanding (1690) he would develop a belief that people weren’t good or bad by nature, but were a ‘tabula rasa’ (blank slate) at birth. Further explaining that any negativity found in people after that point was a result of their experiences after birth and not any fundamental nature of mankind. So the difference between he and Hobbes, in terms of theories, can be summed up as a ‘nature vs. nurture’ type of debate. Unfortunately this essay wasn’t very popular due, in part, to the dense nature of his writing that made it difficult for normal people to read, but his next book would change that. Locke’s Two Treatises of Government (1689 or 90) would not only become his most popular work, but also become a timeless classic of political literature that is still read. This book describes an ideal government comprised of a representative government where the power is held by the people instead of a single person, and that the people would have to compromise on some issues so society can function smoothly. The people of this country would unite behind a social contract (what historians refer to as a ‘Lockean Social Contract’) with the understanding that the government had an obligation to perform duties that were in the best interest of their people, and could be revoked if leaders didn’t deliver. While his version of the social contract is quite similar to Hobbes, he attempted to tame the powers of the government through a ‘Separation of Powers’ that would prevent one person from accumulating too much power. He was also a well-known proponent of equality, believing that concepts like racism and sexism were really illogical, and would often claim that people were born with natural rights of life, liberty, and property. Unfortunately he is often seen as a severe hypocrite in this beliefs since he would be a major financial backer of the slave trade during his life. The philosophy of Locke would become extremely important years later during the American Revolution. Since the founding fathers of the United States were largely enlightenment thinkers, they would borrow heavily from these concepts when developing our country. While many people contributed to the development of these documents, it is clear that his beliefs were the most clearly used of all thinkers during this time.